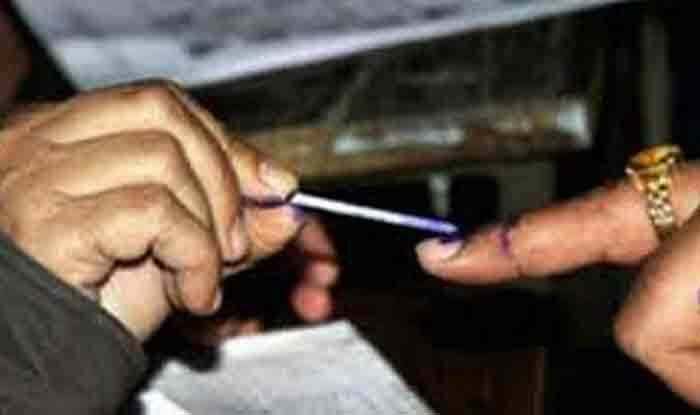 Udupi Chikmagalur, Hassan, Dakshina Kannada, Chitradurga, Tumkur Seats will vote on April 18. New Delhi: Udupi Chikmagalur, Hassan, Dakshina Kannada, Chitradurga, Tumkur seats in Karnataka will vote in the second phase of Lok Sabha elections 2019 on April 18. The counting of votes will take place on May 23. Udupi Chikmagalur: Udupi Chikmagalur Lok Sabha Constituency came into existence after the delimitation of the parliamentary constituencies in 2008. The first election in Udupi Chikmagalur was held in 2009 and its first elected member of parliament was DV Sadananda Gowda of the Bharatiya Janata Party (BJP). In 2014 Lok Sabha polls, BJP’s Shobha Karandlaje won the LS seat by defeating Congress’s K Jayaprakash Hegde by slightly less than 2 lakh votes. For 2019 Lok Sabha elections, BJP has retained Karandlaje, JD(S)-Congress alliance has fielded Pramod Madhwaraj, a JD(S) leader. Hassan: This Lok Sabha constituency is currently represented by former Prime Minister and JD(S) president HD Deve Gowda. In 2014 Lok Sabha elections, Gowda had defeated Congress’ Manju A with a margin of over 1 lakh votes. For 2019 Lok Sabha elections, BJP has fielded A Manju and JD(S)-Congress has fielded Prajwal Revanna. Hassan consists of 8 Assembly segments – Kadur, Shravanabelagola, Arsikere, Belur, Hassan, Holenarasipur, Arkalgud and Sakleshpur which is reserved for members of Scheduled Castes. Dakshina Kannada: This constituency came into existence in 2008 as part of a delimitation exercise. The first election in Dakshina Kannada was held in 2009 and its first elected member of parliament was Nalin Kumar Kateel of the Bharatiya Janata Party (BJP). Chitradurga: This constituency is reserved for the Scheduled Castes (SC) candidates. In the 2014 Lok Sabha election, Congress’ BN Chandrappa had defeated BJP’s Janardhana Swamy by a margin of more than 1 lakh votes. For 2019 polls, BJP has fielded A Narayana Swamy and Congress has fielded BN Chandrappa. Tumkur: This constituency was won by Congress’ SP Muddahanumegowda in 2014 Lok Sabha polls. Muddahanumegowda had defeated BJP’s GS Basavaraj by a margin of 74,041 votes. Janata Dal-Secular (JD-S) supremo and former Prime Minister HD Deve Gowda will contest from the Tumkur Lok Sabha constituency. Deve Gowda will take on BJP’s GS Basavaraju.